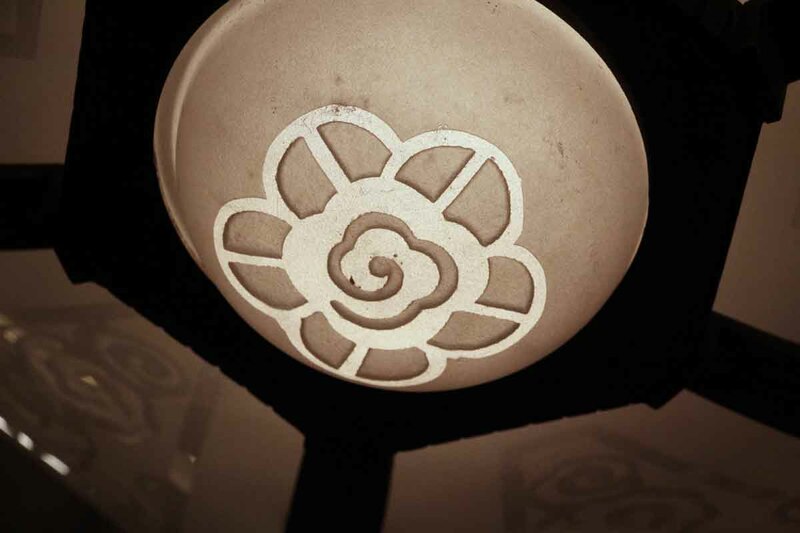 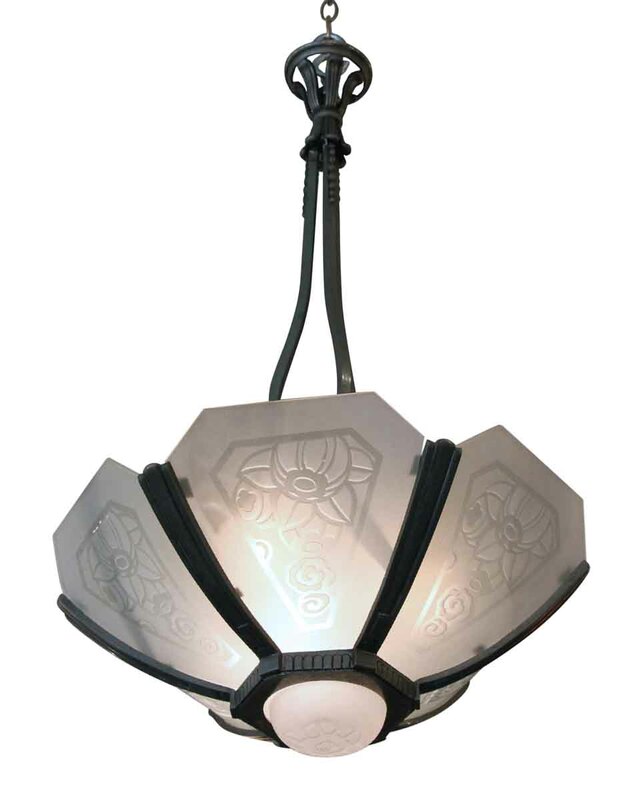 1980’s Hanging light fixture with six frosted acid etched slip-in glass panels which have a geometric and floral design and a nickel plated bronze frame. 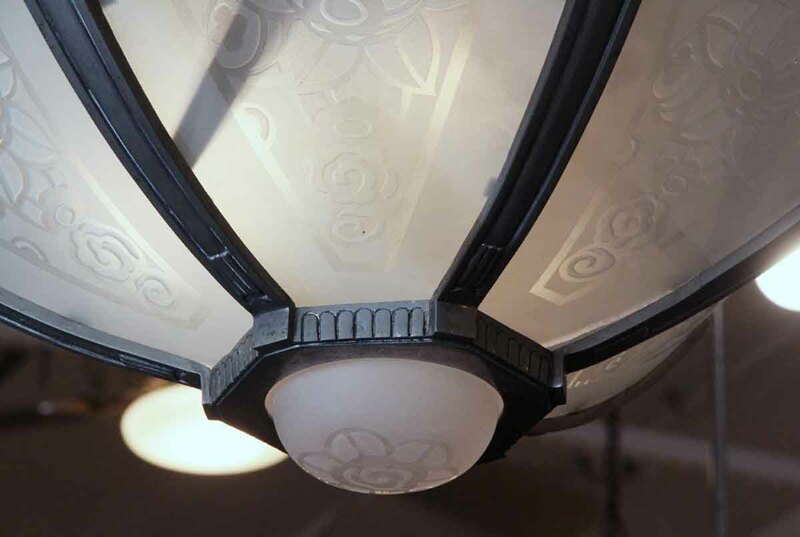 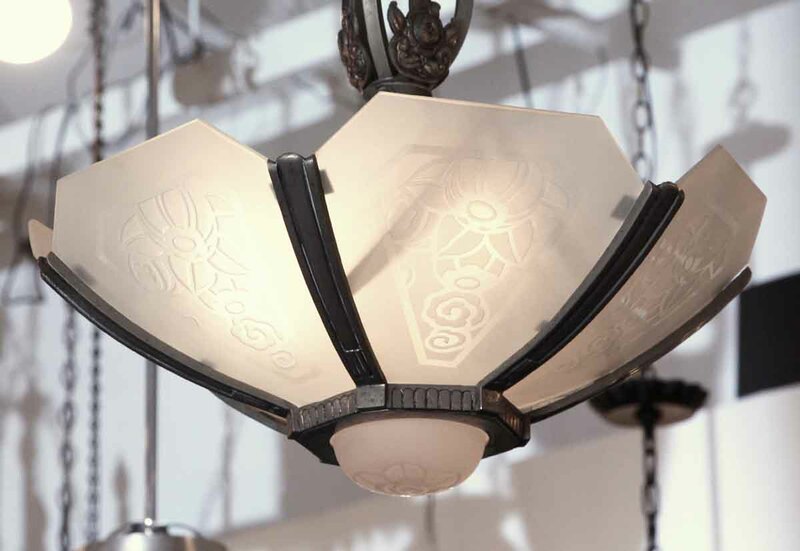 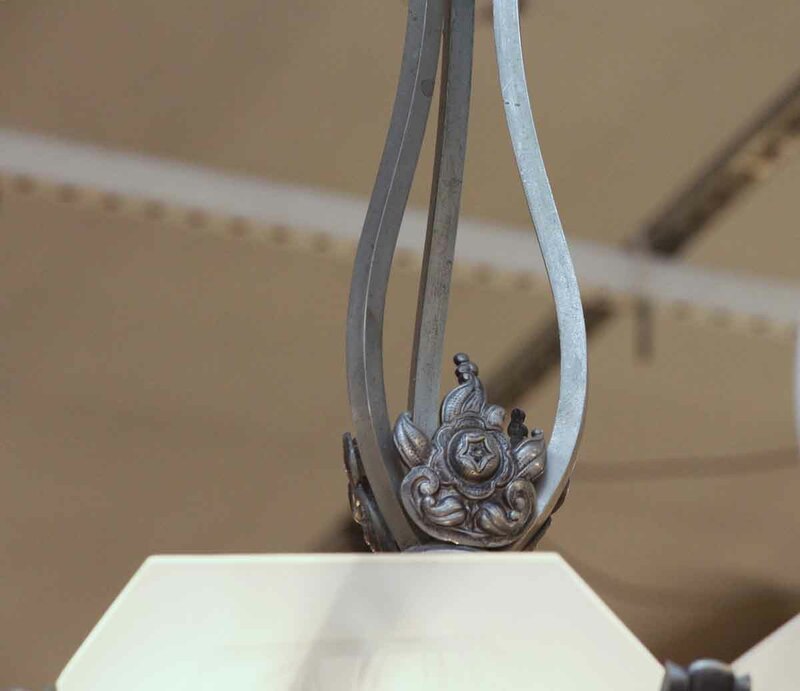 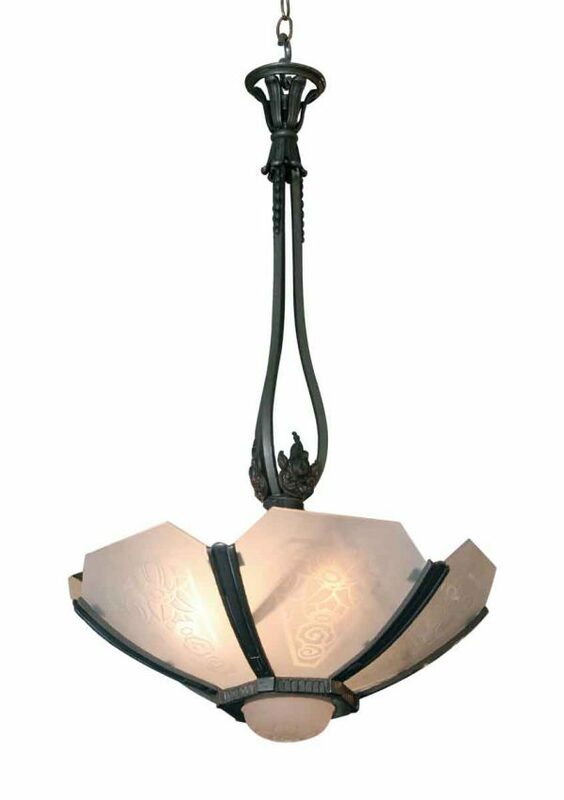 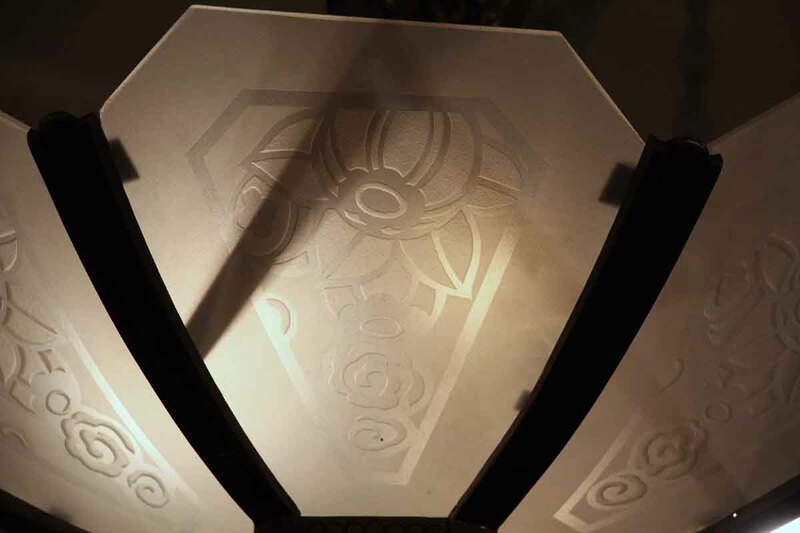 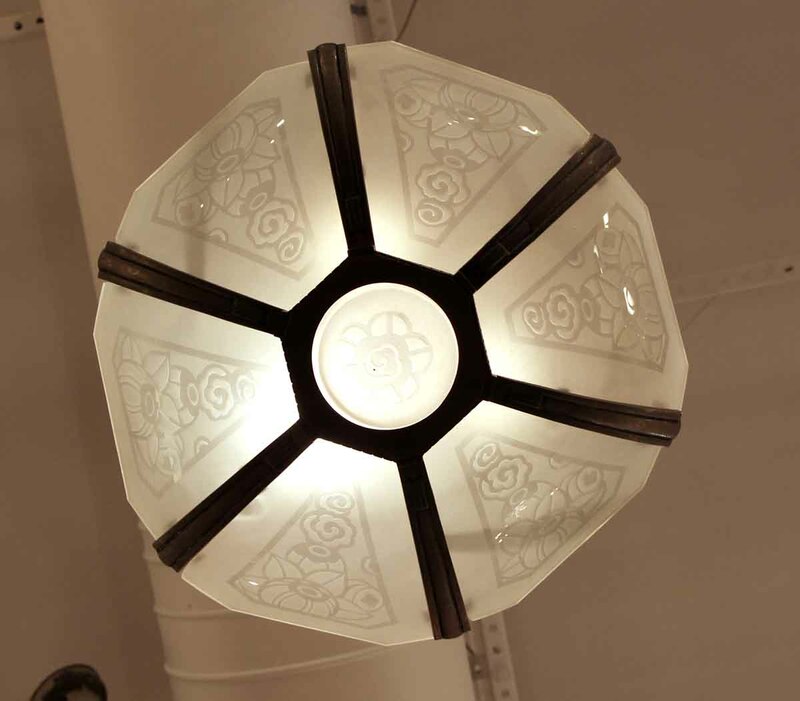 This light is a mix of Art Nouveau and French Deco style with beaded detail at the top and a fluted canopy. 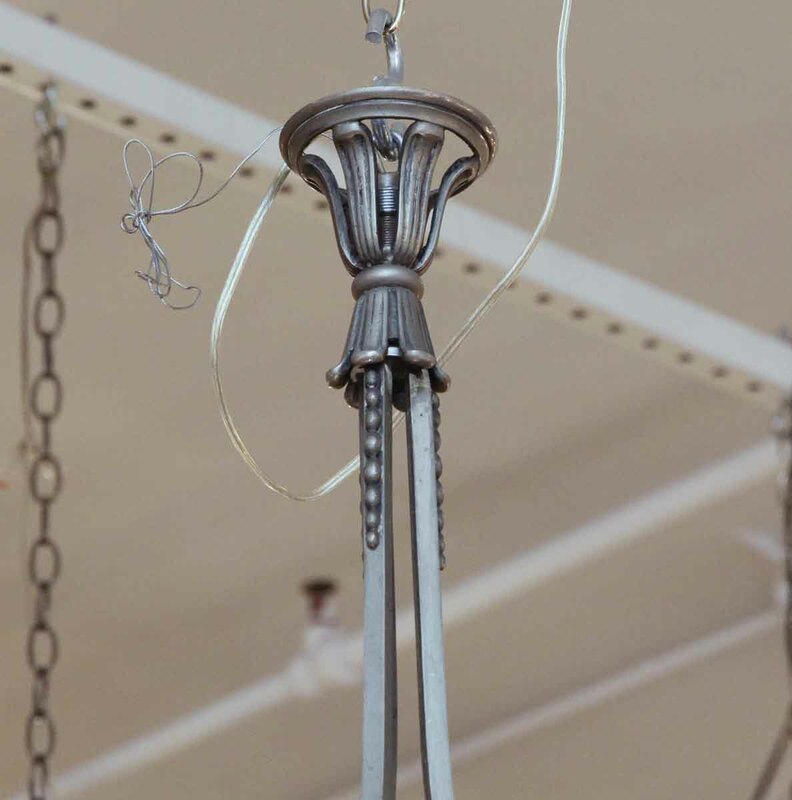 This takes three candelabra bulbs.